New ‘digital-born players’ such as Huffington Post, BuzzFeed and Vice are challenging traditional media in their provision of news in general, and about the environment in particular. They have invested heavily in a wide range of countries and languages in an attempt to reach young audiences, who increasingly use social media as their source of news. Despite their success, these new players have hardly been studied. This book, written by lead author James Painter and researchers in five countries, takes the UN summit on climate change in December 2015 as a case study, and analyses how new players and legacy media in France, Germany, Spain, the UK, and the USA covered it. It shows that new players are an important addition to climate change coverage. They reach new segments of the audience with a wide range of novel reporting styles, formats, and tone that marks them out from more established media. The authors argue that this is particularly beneficial at a time when environmental reporting is being reduced in media organisations across the world. 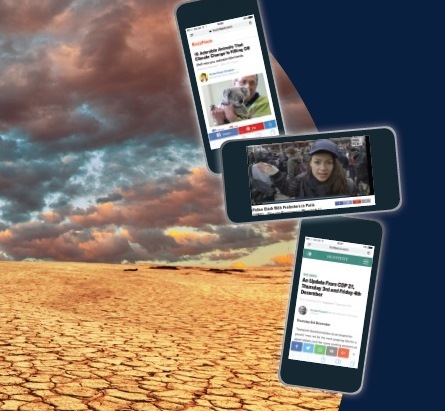 Download the Executive Summary and an essay on climate change coverage on online media sites in Poland below at no cost. Purchase the book via the Oxford University Online Shop. This book is published by the Reuters Institute for the Study of Journalism with the support of Google and the Digital News Initiative, the European Climate Foundation and the Energy Foundation.